will be happy to help you save with Travelers Insurance ! Travelers Canada is a licenced Canadian insurer that includes the Dominion of Canada General Insurance Company, St. Paul Fire and Marine Insurance Company and Travelers Insurance Company of Canada. Although Travelers Canada has incorporated many insurers under one umbrella, it had its beginning in Canada in 1887 as The Dominion of Canada General Insurance Company. Sir John A. MacDonald was its first president. Travelers Canada has gone through many changes over the years (you can read the story here) but its commitment to service excellence and its customers. Travelers Repair Satisfaction Guarantee : In the event of a claim, Travelers guarantees your satisfaction with the repairs for a claim to damaged property. Travelers Customers Benefit From Its Local Presence And North American Reach : With 1300 employees across Canada, customers receive caring support and attention for claims. Travelers has 30,000 employees worldwide in the Canada, US, UK, Brazil . Specialists In Underwriting, Risk Control And Claims Services : Travelers delivers excellent services in these three core capabilities. Diversified And Stable : Travelers’ assets worldwide amount to $105 billion with shareholder equity of $25 billion and revenues of $26 billion. Customers are safe with Travelers. Collision : If your vehicle is damaged from impact with another car or from hitting a guardrail (for example). Comprehensive Protection : Fire theft, glass breakage, vandalism and other types of damage. Loss Of Use : If damage to your car results in you losing the use of your car, this coverage provides temporary use of a rental vehicle. 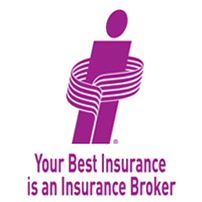 A licenced ThinkInsure broker can help you determine the right insurance persoanl or business coverage for you. Call us toll-free 1-855-550-5515 to learn more.